KÖLLEMANN Polymer-Additive-Mixer have their field of application within the mixing of bulk-solids of plastics like HPDE (high-density-polyethylene) and PP (polypylene) rep. Olelefins in general. In most applications the mixer is located upstream to the extruder which forms from the raw-product and several additives the shipment-ready pellets for the end-customer. 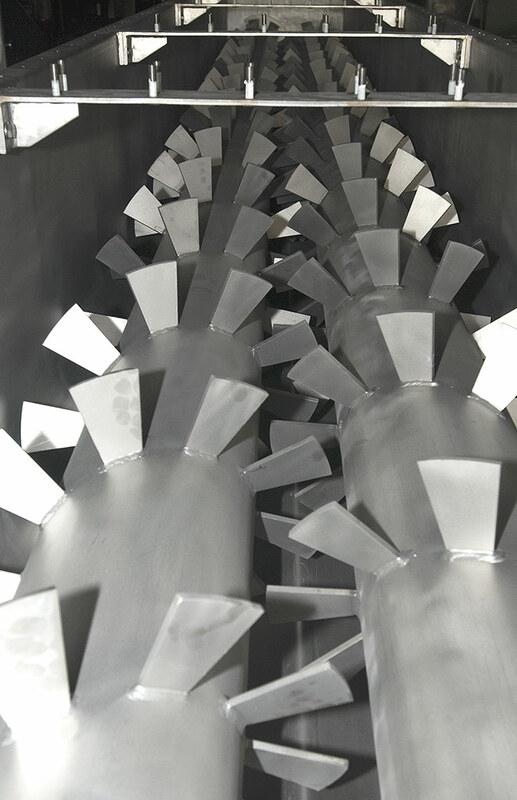 As we produce our Mixers with oversized inner surfaces and sophisticated engineerd mixing-tool-geometries an high and reliable, process-safe mixing-quality can be ensured along with avoiding an unwanted warming and gentle handling of the bulk-solid. To fulfill technical demands and requirements for explosion-safety , even our standard-model is equipped with apropriate instrumentation and piping to flush the product-room as well as the shaft-passages with nitrogen in order to prevent any oxygen from entereing the product-room as well to create an inert atmosphere. We serve the markets growing demand for measuring and central-control with devices like flowmeters with HART-signal-output as well as electronic pressure-measurement within the product-room and rotation-control by means of an pulsed-signal. 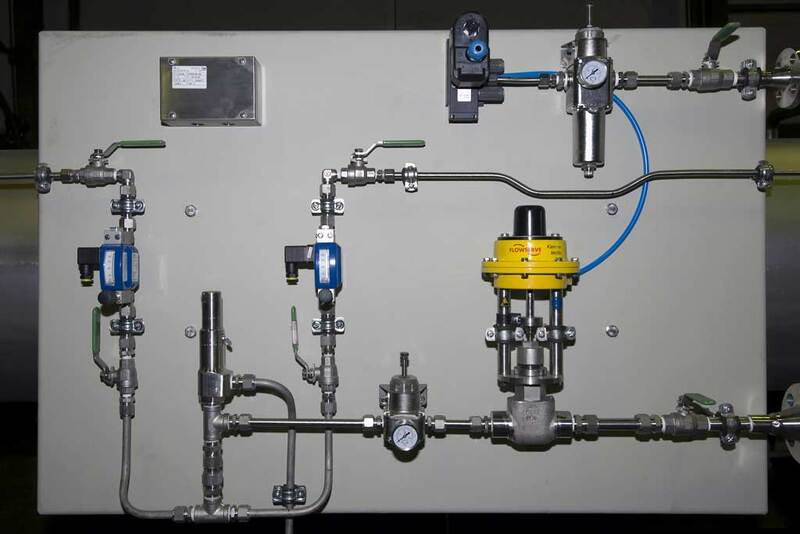 As an common option, we provide an bag-filter with differential-pressure-controlled cleaning to avoid pressure inside the product-room generated by upstream or downstream equipment as well as nitrogen-flushing of the whole machine. All necessary instruments are located in an attractive looking, protective and maintennance friendly stainless-steel cabinet. Detailed brochures are available in the download-section.